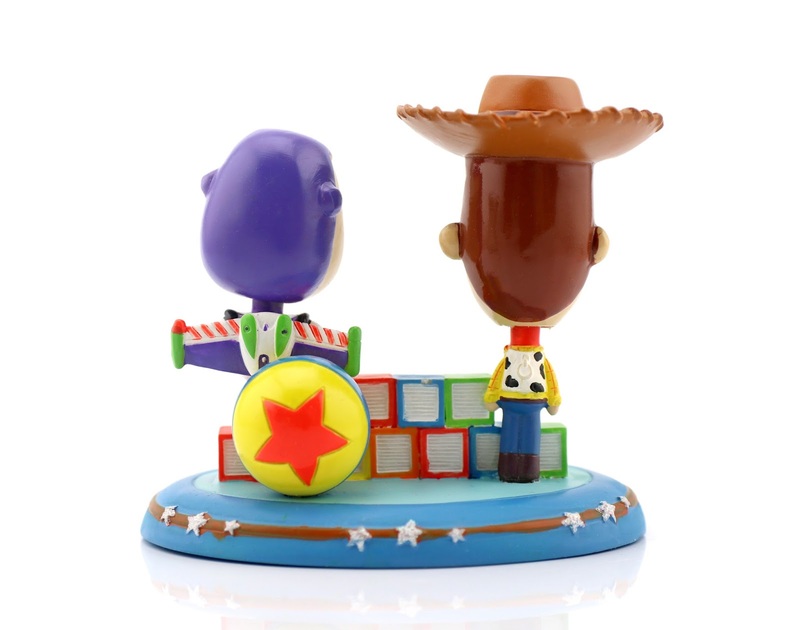 Ready for an overload of Toy Story cuteness?? 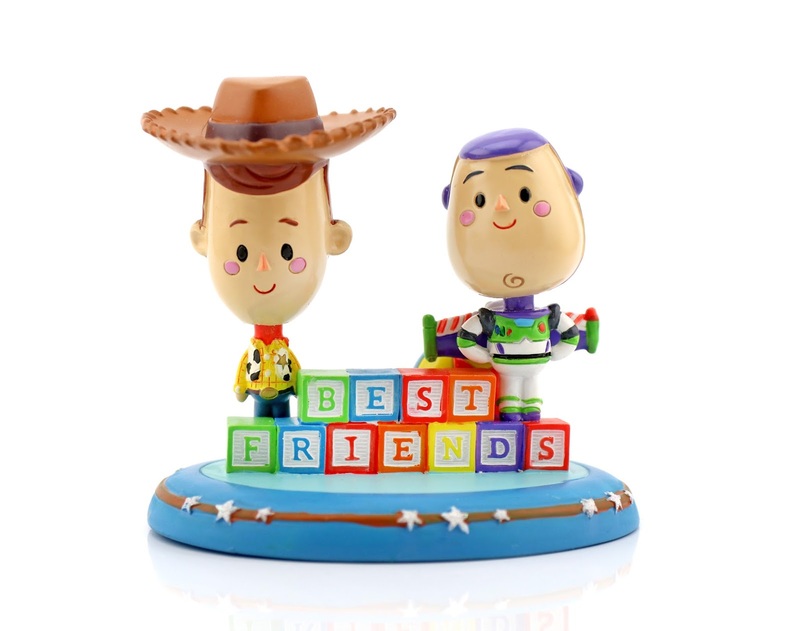 Check out this Buzz and Woody "Best Friends" Bobblehead figurine, sold now exclusively at Shanghai Disneyland! 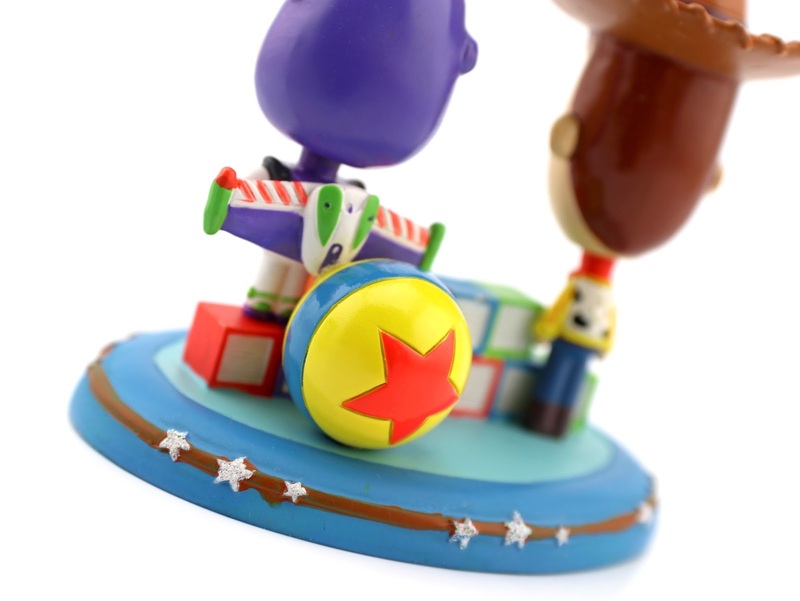 And if the adorable look of this trinket feels familiar, that's because it was designed by my friend Jerrod Maruyama in his signature kawaii style! If you're a Disney fan, then you're more than likely familiar with his work. I've talked about it on here a ton, but if you've yet to check out some of Jerrod's other art I've posted posted on, visit this page HERE. It's so cool to have a piece of his art in the form of a 3D sculpt! This little souvenir measures about 3" tall and 3.5" wide and is mostly made of a fragile resin material. Retail price at the park is ¥79, which converts to $12.50 in American dollars (not bad at all). I love everything about this, from the overall stylized design to the way their heads bobble to the Pixar ball detail on the back. It's all just too good! No word on if this will become available at US Disney Parks, but we can hope. A HUGE thanks to MY best friends (appropriate right? ;) Drew and Liz for picking this up for me during their visit to Shanghai Disneyland a few weeks back. I had seen pictures of this floating around the net since last year, but I never thought I'd actually be able to get it! Drew and Liz have a pretty remarkable story as last summer they sold their home (+ almost all their possessions) and moved to China with their two kids to help teach English as a second language. They have been documenting all their adventures on their blog The Misfitfam and what it's been like adapting to a new culture. It's all super fascinating! If lifestyle blogs are up your alley, please check them out and give them a follow (Instagram HERE). Feel free to reach out to them with any questions you might have about their journey! And of course if you enjoy Jerrod's work, don't forget to check out his blog HERE and give him a follow on Facebook, Instagram, Tumblr, Flickr, Dribbble and Twitter. He's the man! Until next time, let me know your thoughts on this in the comment section below.